Dust-covered decorations, perfumed candles and Christmas trees are all things which can aggravate asthma symptoms, according to research. A survey carried out by Asthma UK revealed 53% of sufferers found their symptoms were triggered by the dust from ornaments, baubles and other decorations while for one in four said their condition was aggravated by scented candles. Open fires caused a problem for 8% of those polled while Christmas trees made asthma symptoms worse for 3%. Asthma sufferer Claire Pilcher says Christmas trees make her sneeze and wheeze. After years of feeling poorly over Christmas as a child, her mother realised real trees were triggering her asthma and now Claire uses an artificial tree and tries to avoid the genuine article as much as possible. Celebrity asthma sufferer Stephen Fry says champagne can trigger his asthma. Every Christmas Day around 200 people with asthma are admitted to hospital after their symptoms are triggered. 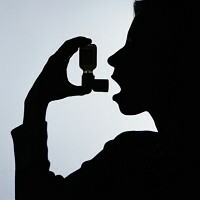 So Asthma UK is urging the 5.4 million asthma sufferers in the UK to make sure they steer clear of anything that could bring on an attack and make sure they have any medication they need to hand. Those with asthma who are travelling abroad over Christmas should also arrange asthma travel insurance.